Where to go in Chemalski area? Chemal district – is the youngest district of the Republic, it appeared in 1993, after the division of Shebalinsky area. 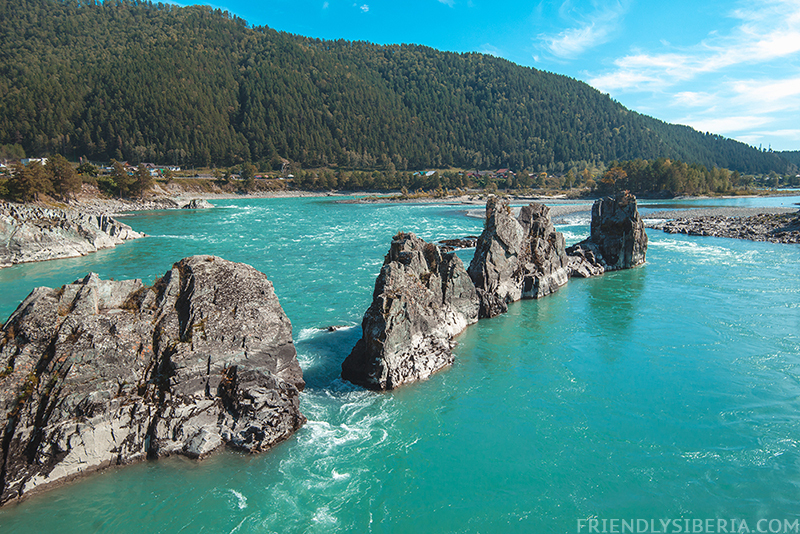 Now it is the most popular holiday destination for tourists in Altai and no wonder: a great mild climate, fresh air and breathtaking views get along here with developed infrastructure. In the summer season the village Chemal reminds Sochi resort: there are so many bases and holidaymakers. But even in the peak season you can easily find a place here for a secluded holiday. Chemal hydroelectric station was built in 1935 on the Chemal River near its merger with Katun. The station provided the needs of the sanatorium “Chemal” and a few houses. At the moment the work station completely stopped (after an accident in 2011) and the building serves as a museum nowadays. However, the building itself is not as interesting as what is surrounding it. 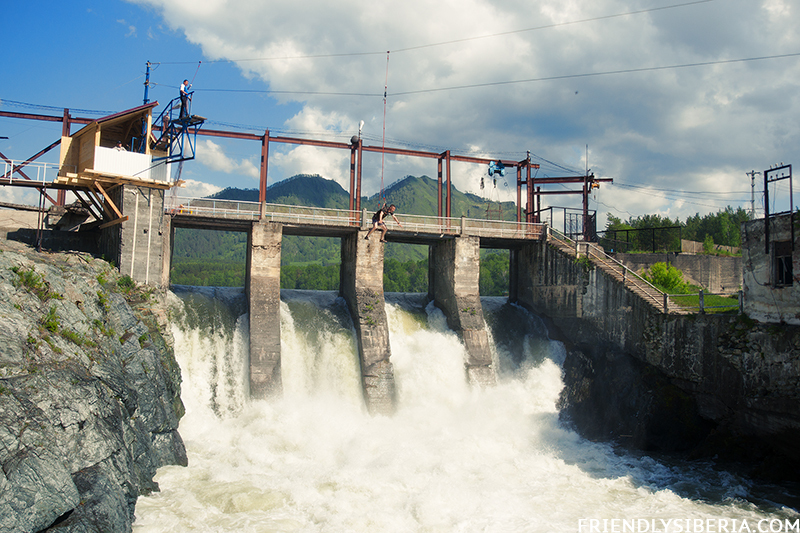 In summer there is a big fair, working observation wheel, bungee jumping, ATV rentals and much more around the hydroelectric station . The Island on the Katun River was named after the Greek namesake, and was consecrated by Metropolitan Makarios in 1855. A few years later on it was built an orthodox temple, that stood before the arrival of the Bolsheviks. In the 20s of the previous century the church was destroyed and rebuilt only in the early 2000s, largely due to a moscovite who had moved to Chemal. 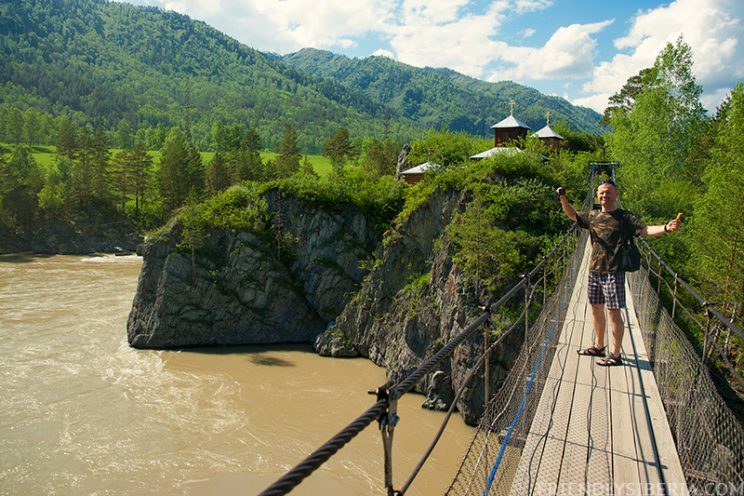 The Island walkway is now possible only by foot (not more than 5-to 6 people at a time) on a breathtaking hanging bridge. 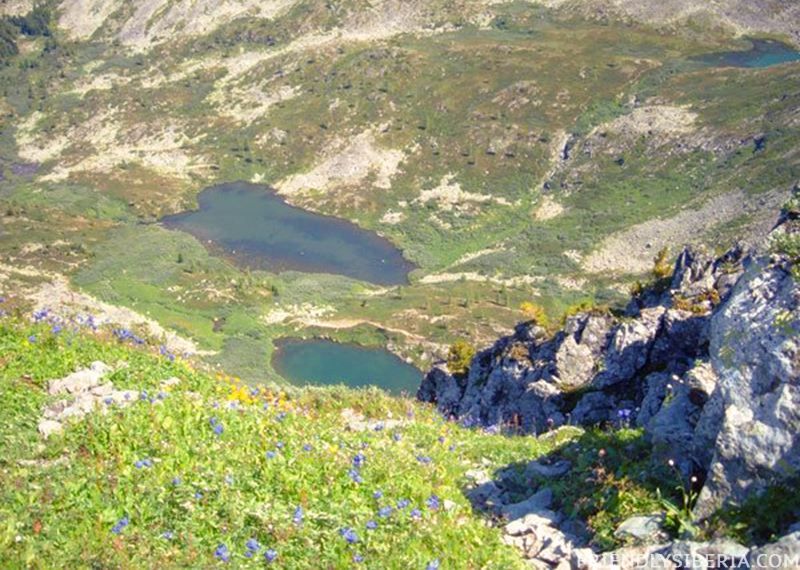 Seven Karakol lakes are known for their beauty throughout the Republic. This is an amazing place for its beauty, is inapplicable worth seeing. The lakes are seven located at different heights bowls located on the western slope of the Iolgo ridge. The lower lakes are surrounded by pine forests, the top are formed by melting glaciers and surrounded by high peaks. The path to the lakes can take you from one day (by 4×4) to three (on foot). The transfer to Karakol lakes by 4×4 jeepcars offers a variety of tourist agencies and private guides in Elikmanar, Chemal and Uznezya villages. If you want to take a circular route, climbing up along the lakes and Cuba river and down the Elikmanar river, you can rent a horse with a guide in Elikmanar or Chemal villages. The lake is named after the hero of the Kyrgyz epic and it is still not known what relation it had to the Altai . This picturesque, Alpine (1920 m), glacial lake is situated on the border of Chemal and Ongudai areas. It is not often visited by tourists, because the road to it not an easy one: Manas is located 20 km away from the village Edigan, but you can reach it only by off-road, quad biking or horseback riding. It is better to spend a couple of days on a visit to the lake to rest and have time to sleep on the quiet northern bank and admire the clear starry sky. Chemal has a large nursery of fruit breeding plants bred specifically for the harsh continental mountain climate. You can buy there saplings of rare varieties of plants. The kennel is located in the village of Chemal street Uozhanskaya a few meters from the fork. Chech-Kish Valley is remarkable for its sheer rocks, equipped climbing routes, a small man-made waterfall and rock paintings. The entrance to the valley is just a few meters from the road Chemal – Elanda, but keen-witted locals charge for entrance to the valley (50 rubles). The waterfall is easily accessible and is approximately 2 km from the highway. If you walk a little up the stream, you can see rock paintings. On the way back don’t miss the observation deck with a panoramic view of the Katun. If you drive further on the road to Elanda, approximately 5km after the village you will see the tunnel (on the left side of the road) and a cozy sandy beach (on the right side). In late summer-early autumn the Katun river opens part of the bottom covered with huge black rocks. On the opposite side of the beach you will see a rise to the entrance of the tunnel. The hallways were drilled during the construction of the Katun hydroelectric power station in the 90s, but the work was not completed as the project was decided to suspend. Don’t forget to take a flashlight, you and your kids will surely enjoy this adventure by the corridors, though not long, and almost all dead ended. 50 km from Chemal there is the narrowest and deepest place of Katun with suspended road bridge. The bridge overlooks the rapids Teldykpen, popular with water tourists. 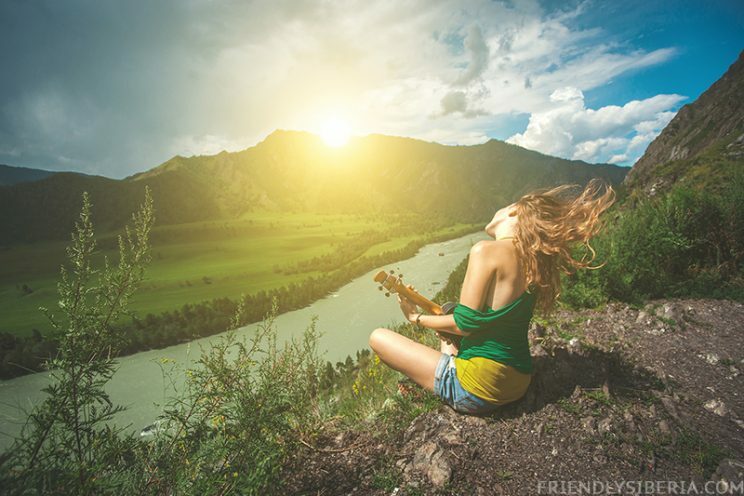 The village Askat is also called Village of Masters – this is the best definition for a nice village, located on the left bank of the Katun river and 20 km from the villages of Ust-Sema and Chemal. Askat was built in the 19th century, but was actively inhabited by creative citizens after the construction of the road bridge after the 2003. In the village, you can visit the handmade goods fair, several exhibition halls with works by local artists, buy herbal teas and homemade dairy products at rural shops . Make sure to combine the trip to Askat with a walk to the Blue lakes, which are also called ” the eyes of the Katun”. These are small, very bright and picturesque lakes formed by the waters of the river and springs. They appear in late August – early September and remain until flooding in April. In winter The Blue Lakes do not freeze due to the springs, so cold water lovers always happy to take the opportunity to swim in the purest blue water. On the left bank of the Katun river there is a small village Anos In about 4 km away from Askat . 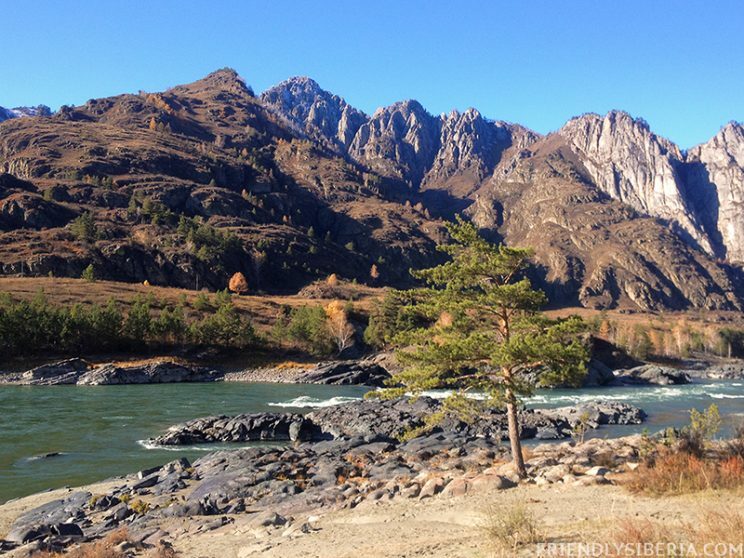 It is well known for a famous Altai artist and public figure Choros-Gurkin who lived there. You can visit his house-museum, to get acquainted with the paintings (the originals are presented in the Gorno-Altai Museum) and learn a lot about life and customs of the peoples of the Altai. Ride in a dog sled (available in winter), play with the friendly huskies and learn all about riding in dog sled you always can in the dog sledding center “Big cats”, which is 15 km away from the Chuisky tract towards Beshpeltir village. 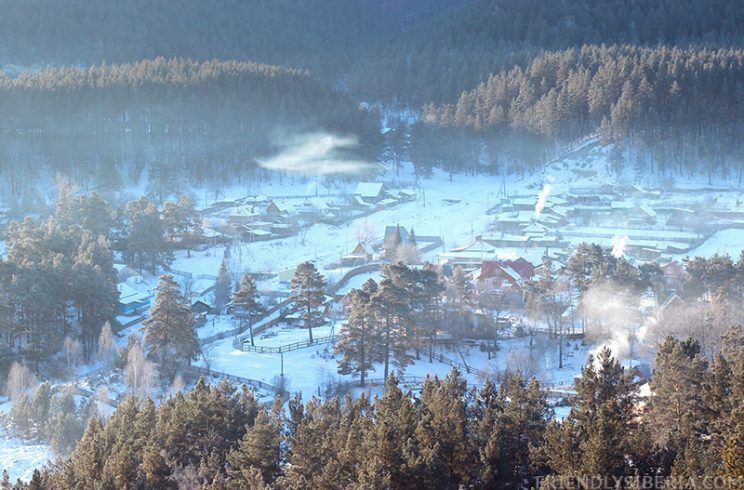 PreviousThe Mayminsky District of the Altai Republic. NextTour to Mongolia. 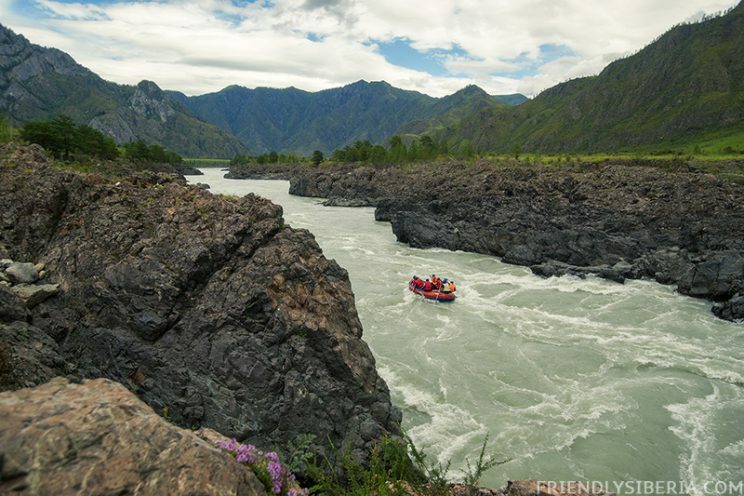 Introducing big Altai : lakes and nature reserves of Mongolia.